I don’t know about you all, but I’m crushing on farmhouse entry ways at the moment. I’m a sucker for natural light, board and batten trim, and somewhere pretty to drop my bags and kick off my shoes. This week, I found four lovely farmhouse entry ways that spoke to me. I love this entry way for lots of reasons. I love the shaggy rug and the wooden bench. I love those big baskets for shoes and I love the little topiary in the olive pot. The blanket and pillow make the space look inviting too. Boxwood, a sweet little shelf and a beautiful little bench. This entry way is perfect if you only have a small space or a nook. I love those green plants and how much they add to the space. Here’s another small spaces entry way. I like that rope basket and the pillows, and the antique mirror. So much simplicity and so much pretty. Here’s another simple farmhouse entry way, with a simple white bench, a shelf and some pretty white pumpkins! Everything about this picture makes me happy. I hope you have enjoyed this Pinterest roundup. Stay tuned, next week I will be sharing some more farmhouse goodness. It wasn’t bad, but it did need some help. 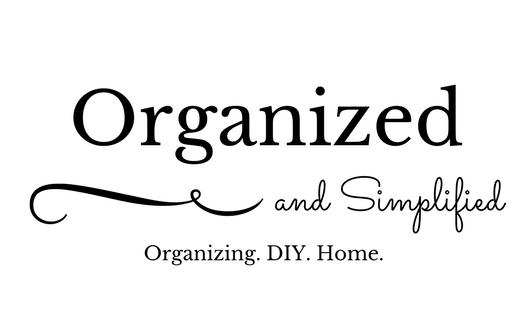 I’m going to show you my before and after shots, but I also want to share some of my tips for a more organized entry. 1. Have a place to stash shoes. See those big baskets under the table? I use those to corral shoes. Without the baskets, shoes were always all over the floor. 2. Have a designated place to stash incoming mail and other items. Those two baskets corral items like mail, keys and school papers, which keeps them out of sight and off the counter tops. I gave both baskets a little straightening up, simply by going through everything in them and throwing away what didn’t need to be there any longer. We also thinned out some of the coats and extra things hanging up in our entry way. These hooks corral our book bags, purses and the dog leash. Our entry is still not decorated the way I want it to be, but it’s certainly more functional and neat. Isn’t this a lot better? Don’t forget to show me your organizing progress on Instagram with the hashtag #ons21daychallenge ?